Go tropical with our Sea Life fabric collection. Designed and printed in the USA, the Sea Life fabric collection will bring the tropics home. 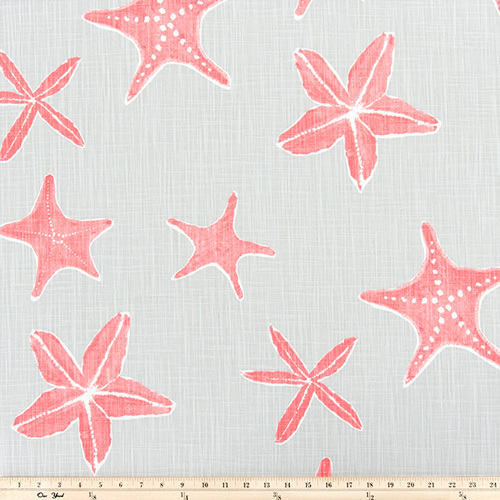 Coral and white starfish print on a light gray background. Suitable for drapery, decorative pillow covers, headboards, crafting or other home decorating projects. 100% Slub Canvas 8.7 oz.